Paige and the team are conducting a proof of concept study to assess the impact of swallowing skill training protocol in patients with Amyotrophic Lateral Sclerosis (ALS). Currently, patients with ALS are not considered candidates for rehabilitation of swallowing; this is therefore early research into the possible benefits of rehabilitation. The therapy is a skill training protocol for swallowing through the Biofeedback in Strength and Skill Training (BiSSkiT) software. This protocol uses surface electromyography (sEMG) which measures muscle activity from the skins surface and displays it on a computer monitor. SEMG electrodes are placed over the submental muscles which contract during swallowing resulting in a peak in the waveform on the screen. With the use of sEMG, participants are able to visualise and alter their muscle activity while swallowing. To make this task challenging, a target box will appear in a random position on the screen and participants will attempt swallow so that the peak of their swallow waveform lands within the target box. This challenging aspect of the therapy is intended to help to encourage cortical control of swallowing. 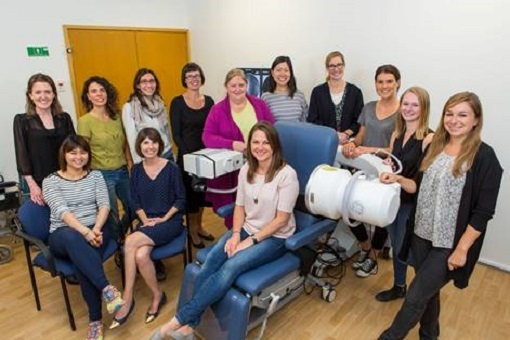 The research investigates prolonging functional swallowing and quality of life in patients with the Amyotrophic Lateral Sclerosis type of Motor Neuron Disease. The current research is a proof of concept study. Further research will be conducted into swallowing therapy in patients with ALS. Paige and the team are collaborating with Dr. Sebastian Doeltgen from Flinders University and Dr. Deanna Britton from Portland State University, who is consulting on this project. The MND Patient Registry and MND New Zealand are assisting with participant recruitment. More funding for MND research would help to increase both the quantity and quality of MND research in New Zealand. Prof. Maggie-Lee Huckabee, senior supervisor of research project, oversees all stages of planning and development of research as well as data collection and analysis. Director of the Rose Centre for Stroke Recovery and Research, University of Canterbury. Dr. Phoebe Macrae, co-supervisor of research project. Deputy Director of the Rose Centre for Stroke Recovery and Research, University of Canterbury. Dr. Michelle Troche, associate supervisor of research project, will oversee data collection in New York. Director of the Laboratory for the Study of Upper Airway Dysfunction, Columbia University. Emma Burnip, Co-investigator, PhD candidate, performing data collection in New Zealand. Rose Centre for Stroke Recovery and Research, University of Canterbury. The team are currently researching and developing a brain-computer interface for people with severe physical disabilities, such as Motor Neuron Disease and Cerebral Palsy. The main aim is to create a completely physical free communication system, that utilises the electrical signals of the brain to control applications on a computer. They have already done several studies to help understand the design requirements to build this system – including software, hardware and training/support components. 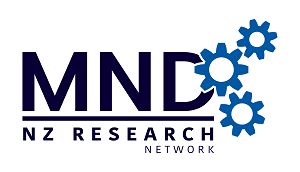 The current study will be an evaluative, observational study that focuses on the experience of using the current prototype of this technology on people with Motor Neuron Disease. The methodology is user-centred and incorporates both quantitative and qualitative methods. They want to look at how the training may help people master the technology (quantitative) and how they perceived using and interacting with the system (qualitative). With the results of this study, they aim to improve upon their current prototype, so that it better meets the needs of the users. Due to the progressive nature of motor neuron disease, people may get to a stage where no existing assistive technology can improve their functional abilities or enable them to communicate. Because brain-computer interfaces only rely on brain activity, it has the potential to assist people who have lost physical function and enable them to continue to participate and communicate later in the stages of the disease. They may continue to test re-iterations of the technology design, as they have noticed that they learn the most when working with the actual customers. It would be good to get an understanding of how many people currently live with MND, and what stages of the disease. Thoughtwired are a multidisciplinary team who have been developing this technology for the past 5 years. There idea was inspired by the CEO, Dmitry, who has a cousin with severe cerebral palsy. No existing form of assistive technology works for him, but from his interactions, they know that he has a sound mind- he just lacks the physical ability to communicate his thoughts. Dmitry came across a TED talk that discussed this technology, which inspired him to try a create something useful for people who may be in a similar situation to his cousin. From here, Sarvnaz and James came on board to help develop and test the proof of concept. Both have backgrounds in academia at the University of Auckland, and approached the development through psychological and technical approach. This meant that from the inception, they have been working with the disability community to understand the needs of all the people who would be using and interacting with the technology. Stuart and Sean joined us in 2017 to accelerate our research and development cycles. Stuart leads the cognitive neuroscience research, to have a better understanding of how to capture neuro-data to improve our technology. Sean is a software developer, who puts together all of our design requirements. 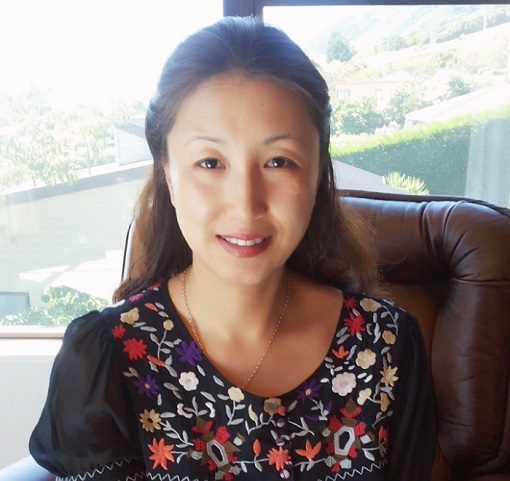 Grace Chen, Research Officer, PhD Candidate, Centre for Public Health Research, College of Health, Massey University. 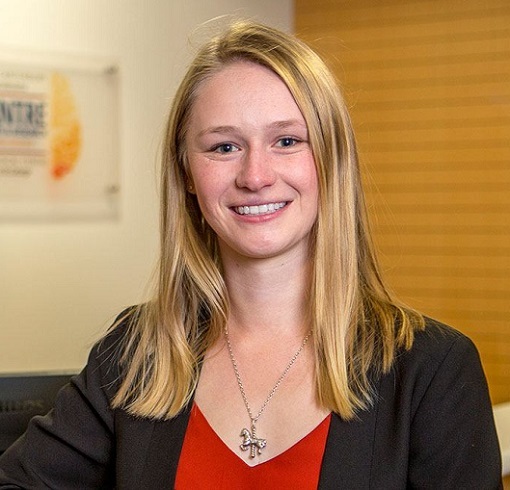 Grace and the team are conducting a New Zealand population based control study to investigate associations between occupational and environmental exposures and MND. The aim of the study is to determine the relationship between MND and a range of unknown or suspected occupational and environmental exposures in New Zealand. The intention is to do more studies on MND after this study result has been published. The Motor Neuron Disease Association New Zealand supports the recruitment for MND patients. The study also collaborated with the Centre for Brain Research (Scotter Lab) for the selected markers of the disease process. Currently not using any shared resources, will share the database of the bio-markers of the disease process in New Zealand. A formal diagnosis letter on the type of MND will help us to have a complete picture of the disease in New Zealand.